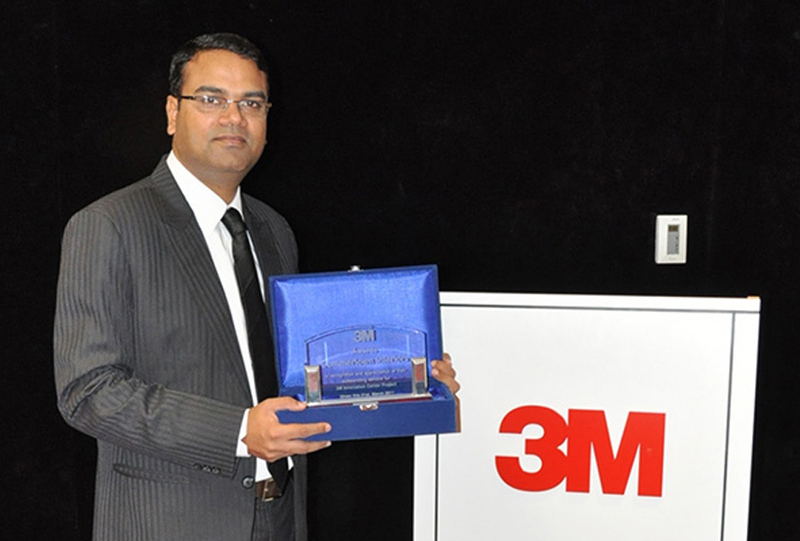 3M, a world leader in innovation, recently presented an award in recognition of ‘Outstanding Service for 3M Innovation Centre Project’ completed in 2011. The award was presented by Irfan Malik, Area VP for Middle East and North Africa in recognition of the high quality execution of the recent office interior fit out project that presented 3M with LEED Silver certification for their new Customer Training Centre in Dubai. The project scope was to use sustainable fit out in the existing vacant office premises by applying waste management controls, design, and execution including the provision of furniture. The premises needed to house a number of demonstration rooms to display 3Ms diverse product range, an innovation area, auditorium, training rooms, focus rooms, break out area and management offices. The project also needed to fulfill environmental standards for certification under LEED.